Hello from Hollie's! New on the north side of Oklahoma City, this little joint is a great addition to the always delicious Hal Smith line of restaurants. 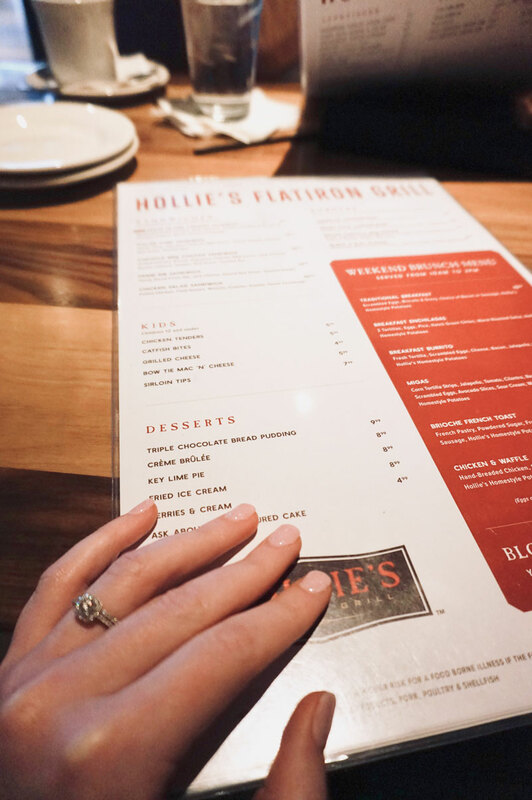 Hollie's is technically a steakhouse or, "flatiron grill," but their menu includes something for everyone. 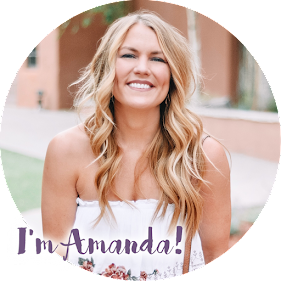 Their entrees have a southwest twist that will satisfy any taste bud. 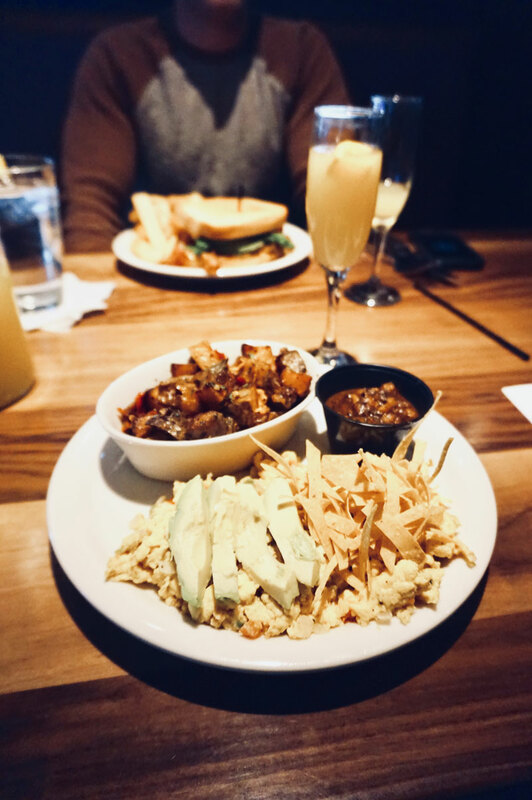 C and I stopped at Hollie's for lunch a few Saturdays back and were pleasantly surprised to discover they offer brunch on both Saturdays and Sundays. 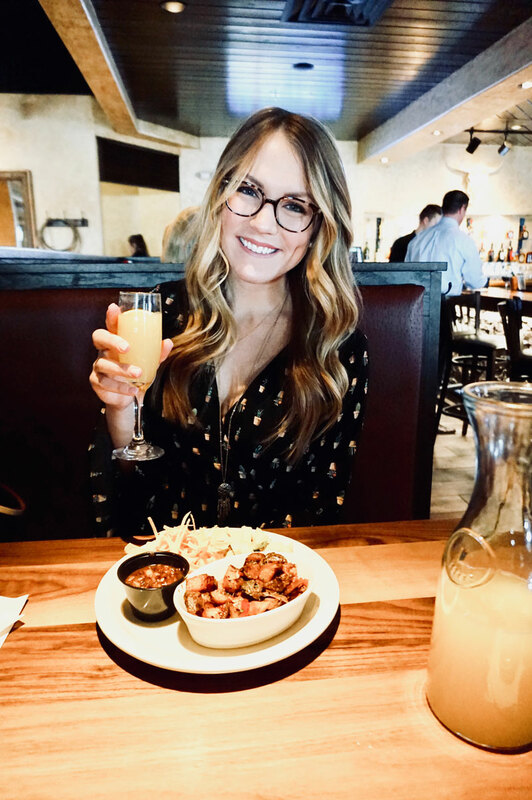 In my opinion, the first step to a successful brunch is a mimosa, and at Hollie's, you can get a whole carafe for $13! Yup, you read that right. We were able to get eight full mimosas out of it. Good start, Hollie's, good start! I ordered the Migas off the brunch menu and C ordered a Santa Fe Fire Chicken Sandwich. Both were so tasty! 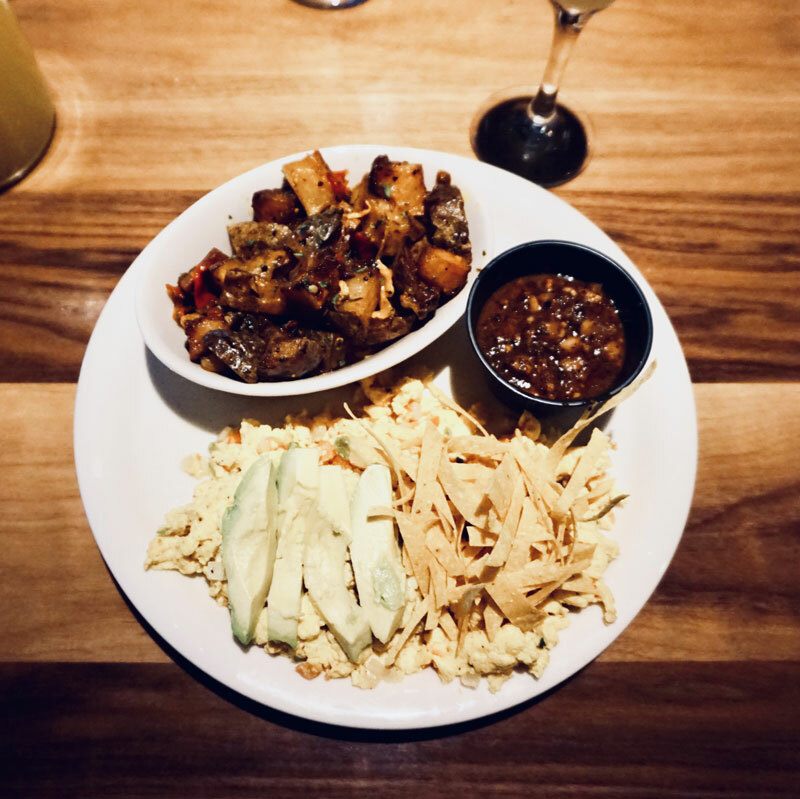 I especially loved the roasty, smoky salsa that came with my migas. The sriacha aioli on the sandwich was also top notch. 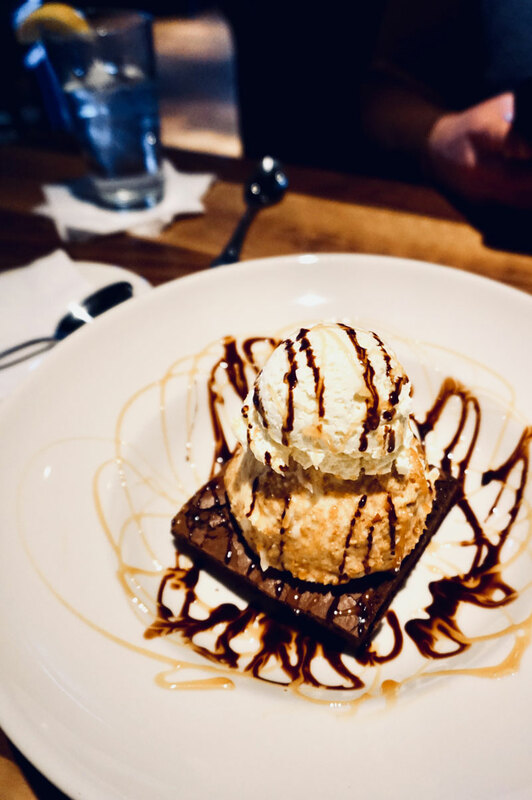 For dessert, we got the fried ice cream.... you can never go wrong with that! It came served on top of a brownie; I don't even like brownies very much, but I devoured the entire plate it was so good! We left feeling very satisfied and also very full. I was also eyeing their fish tacos......maybe next time! 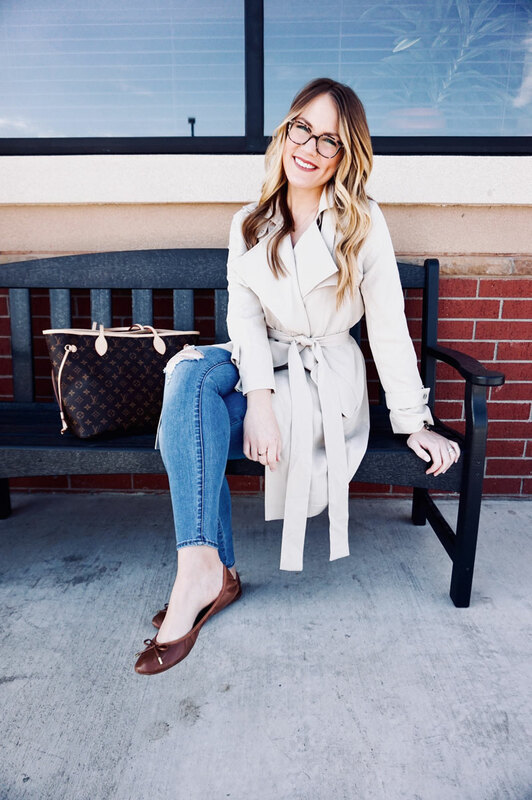 One thing we noticed and appreciated at Hollie's was the professional and attentive staff. Our waitress was just the right amount of attentive and helpful without being over the top. 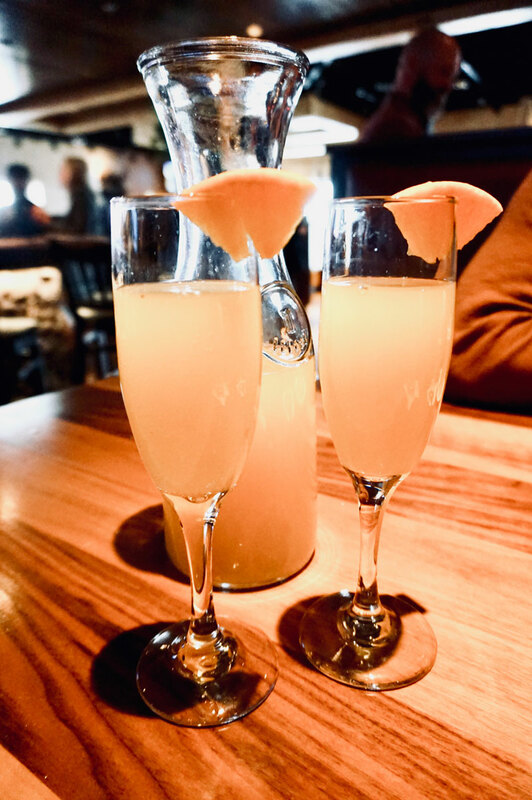 I think Hollie's would be a great spot for a date, family meal or brunch with a group - that mimosa carafe price is an amazing deal, you should totally take advantage of it! 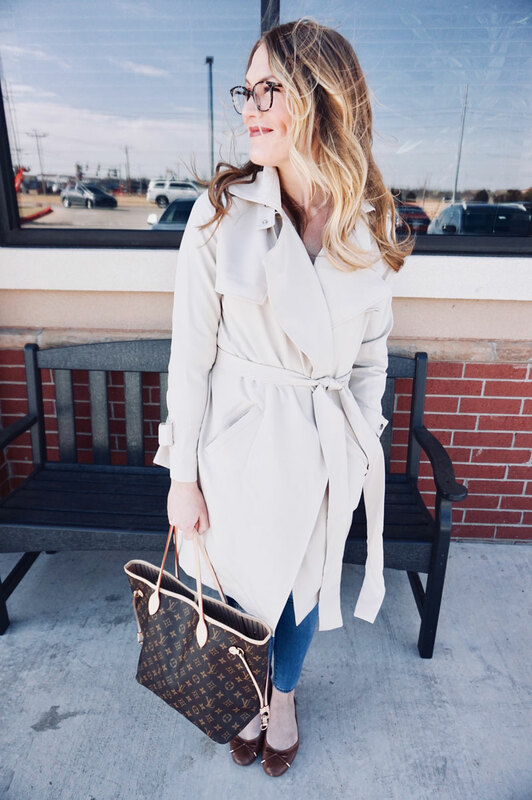 OKC folks, have you been to Hollie's yet? If not, be sure to make your way there soon. 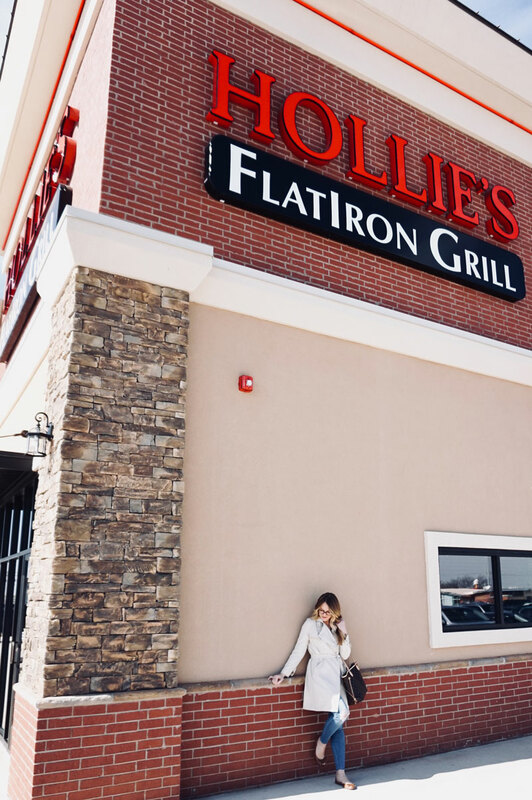 Thank you to Hollie's for treating us to lunch!